It is that time again - share and buy fabulous products for 50% off. Since I was in Florida last week, I will be offering products for November and December this week. 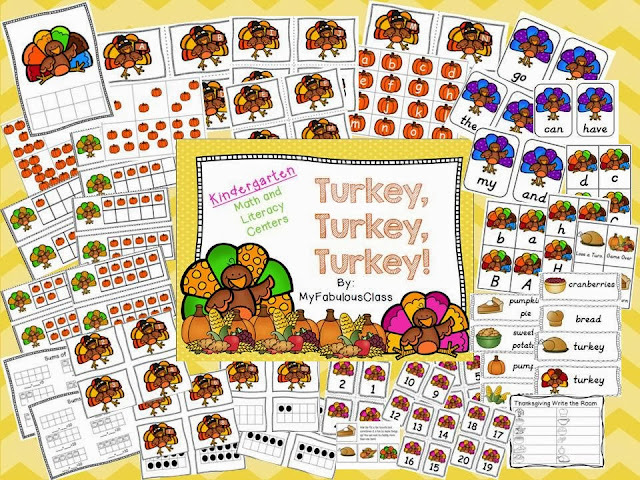 First, I have my Turkey, Turkey, Turkey Math and Literacy Centers for 50% off. You get four math and 4 literacy centers for only 3.00! 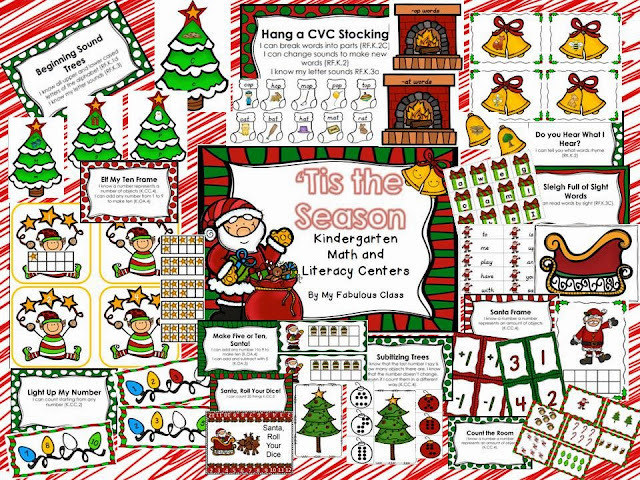 Second up, I have my 'Tis the Season Math and Literacy Centers for 50% off. This fabulous pack has 4 literacy centers and 7 math centers. You can get 11 centers for ONLY $4!!!! Do you have fabulous products that you want to share for 50% off? Are you looking for fabulous products? Check out the linky below. Remember to leave feedback do you can get TPT credits and make the seller feel special! Thank you so much for hosting this! !